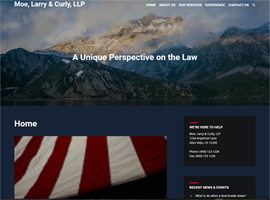 I'm just going to focus on websites I have built for my own companies and friends, and a few of the demonstration websites that we have produced to show customers some of our capabilities. These sites all have a unique design and specific functionality to provide the desired customer experience and back end functionality to manage the workflow. Bringing Interlocking Foam Mats to the World since 1992. Wondermat.com went live in 1996 and was the first eCommerce website I developed. It has been a work in progress ever since, as technology and techniques have evolved over the years. It's core function has always been to serve as an eCommerce platform and facilitate communication between the business their customers. The client is switching to a Business to Business model, and there is a huge amount work being done to redefine the order process, and all the Databases are being reworked. This is a pure Asp.Net and Microsoft SQL project, with HTML5, CSS3 and Bootstrap being incorporated in the responsive front-end design. From personal blog sites to institutional or business multi-sites, People use these to communicate. 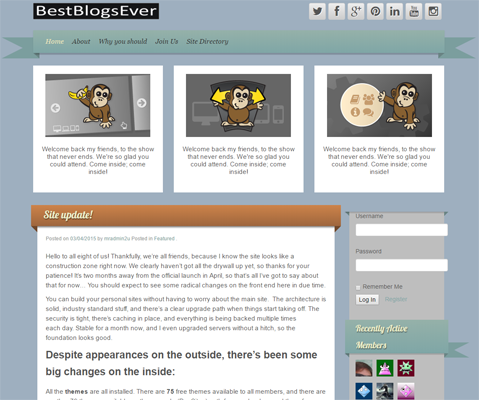 BestBlogsEver.com is an online blogging community built on a WordPress Multi-Site platform. Other sites like Blogger.com, blog.com, squarespace.com, Tumbler.com, EduBlogs.com, Weebly.com, Wix.com, and of course, WordPress.com are all built on the same platform. 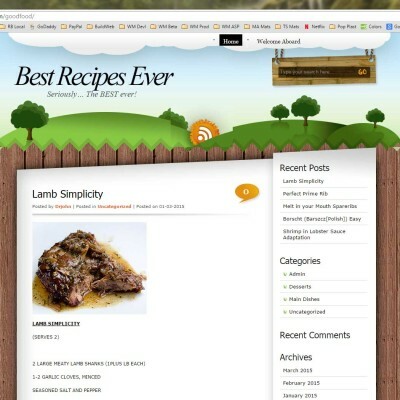 bestblogsever.com isn't specifically important, but what is important is the fact that schools, businesses, non-profits and all sorts of clubs and communities have a need for these type of websites, either internally, or publicly on the Internet. I can help you set up these types of networks, manage them for you, or walk you through the process of maintaining them yourself. 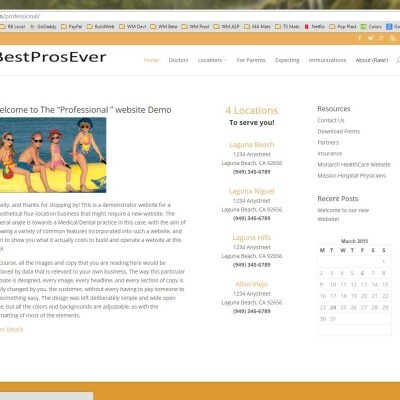 This is a full blown website example for a medical business that has four separate locations. There is a lot of functionality built into this website, so check it out and be sure to look at the "about" page for the details on what the site includes. 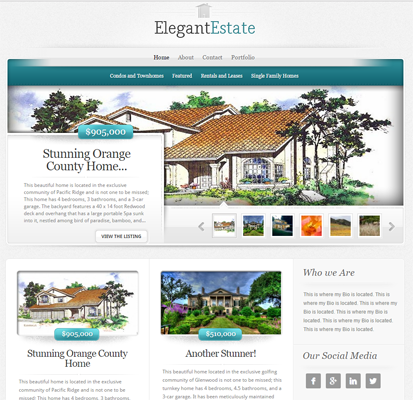 This website was designed for Real Estate professionals that are looking for a well designed website with a lot of functionality that won't cost an arm and a leg to set up and run. This website costs less than $100 a year(US) to operate (in 2016), gives you complete control of each of your listings, and is a social media sharing dream. Everything you post can be shared on your Social Media sites (Facebook, twitter, Google+, Pintress, Instagram...) by you or anyone looking at your website. It does not connect to an IDX database, but it will show every property you enter on a Google Map. Self-Hosted WordPress eCommerce websites put serious CRM and eCommerce solutions in your hands. This is a working example of a small online eCommerce website set up on a WordPress platform using a WooCommerce shopping cart and processing credit card transactions using PayPal. 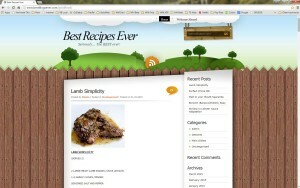 The site design is simple here, but the features that the site has are impressive. 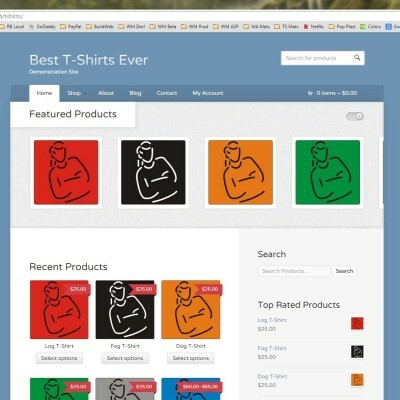 It has a featured products slider with flipping product links across the top of the page then lists products by recently viewed. 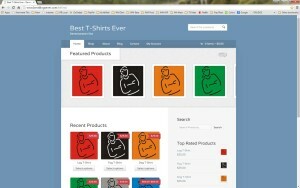 You can show products by top rated, most viewed, most sold and others or you can show products by Category. 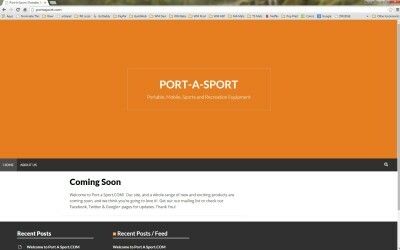 There is blogging functionality built-in. Every product page and every blog post can be shared on your own social media sites, and everyone visiting can share them on their own social media sites. Of course there are links to your main Social Media Pages on your front page. 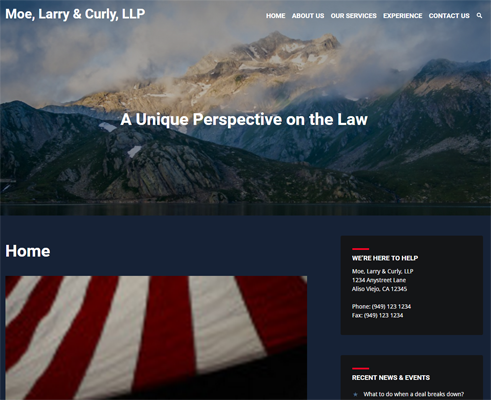 This is a website for a sole practice Attorney, but it would be suitable for an accountant, consultant or other Professional business. It includes links to your social media pages and allows people viewing your services or posts to share them on their own social media sites. There is an email contact form and full blogging functionality is built-in. There is even a billing module that allows you enter client statements and accept payment through your website using PayPal or credit cards. 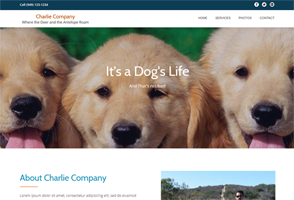 This is a website for an individual Dog Trainer, but it would be suitable for an accountant, consultant or other Professional business. It includes links to your social media pages and allows people viewing your services or posts to share them on their own social media sites. 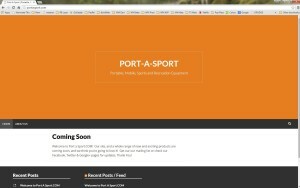 There is an email contact form and full blogging functionality is built-in. There is even a billing module that allows you enter client statements and accept payment through your website using PayPal or credit cards.